Greater Mankato Growth’s Annual Golf Tournament “Greater Mankato on the Green” presented by CliftonLarsonAllen provides a unique opportunity to interact with more than 200 Greater Mankato Growth business members while enjoying 18 holes of golf and networking with other business associates. The format for the day is a SCRAMBLE. 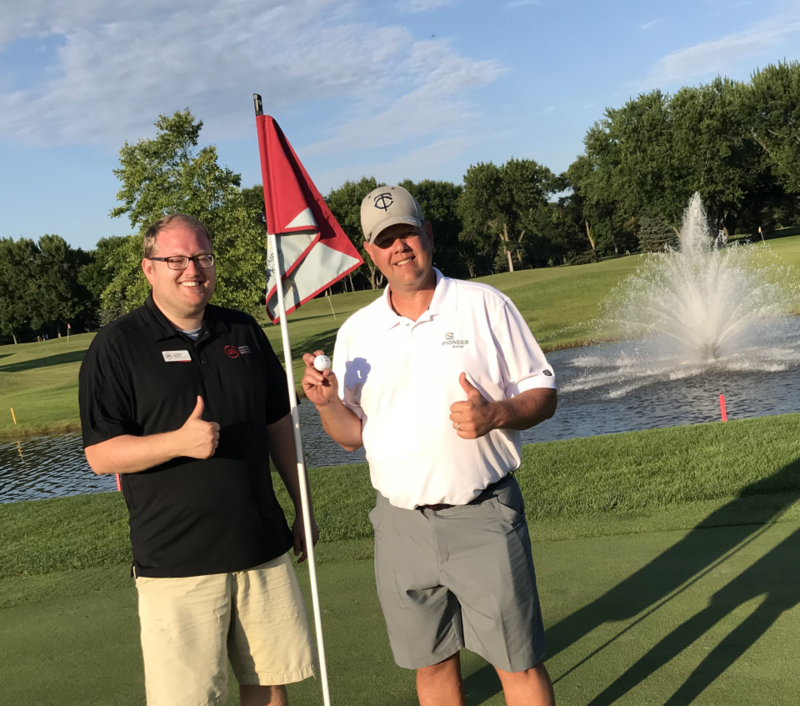 The day is full of fun activities, games, networking and an amazing dinner and awards ceremony following 18 holes of golf at the Mankato Golf Club. Not a golfer or don’t have a team? Not a problem. 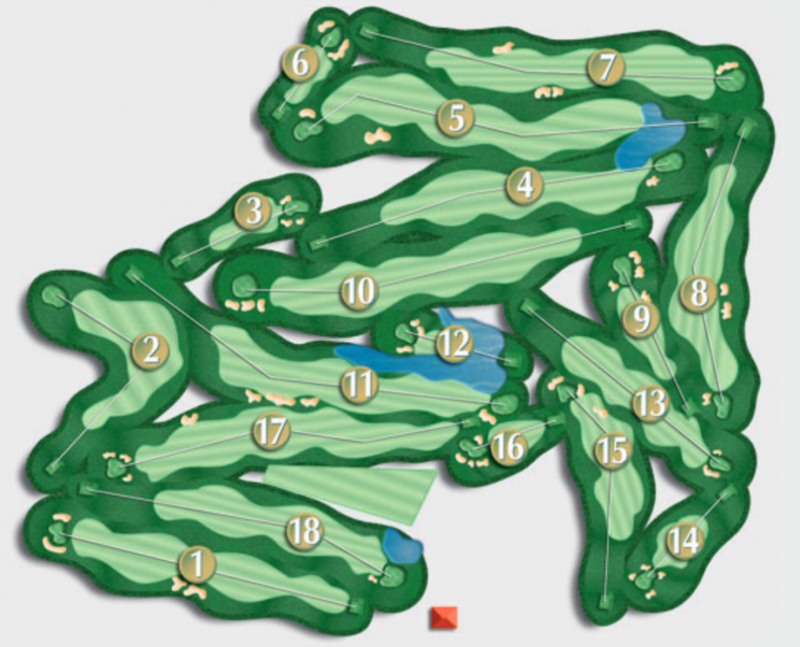 Please note: All golfers, sponsors and staff are required to wear a shirt with a collar at the Mankato Golf Club. Please, no tee shirts, tank tops or cut-off shorts. Non-metal spikes are permitted. Duane Olenius with a distance of 4'5"
Please contact Liz Sharp by email or phone (507.385.6641) for more info on donating items for the silent auction and raffle at Greater Mankato on the Green.